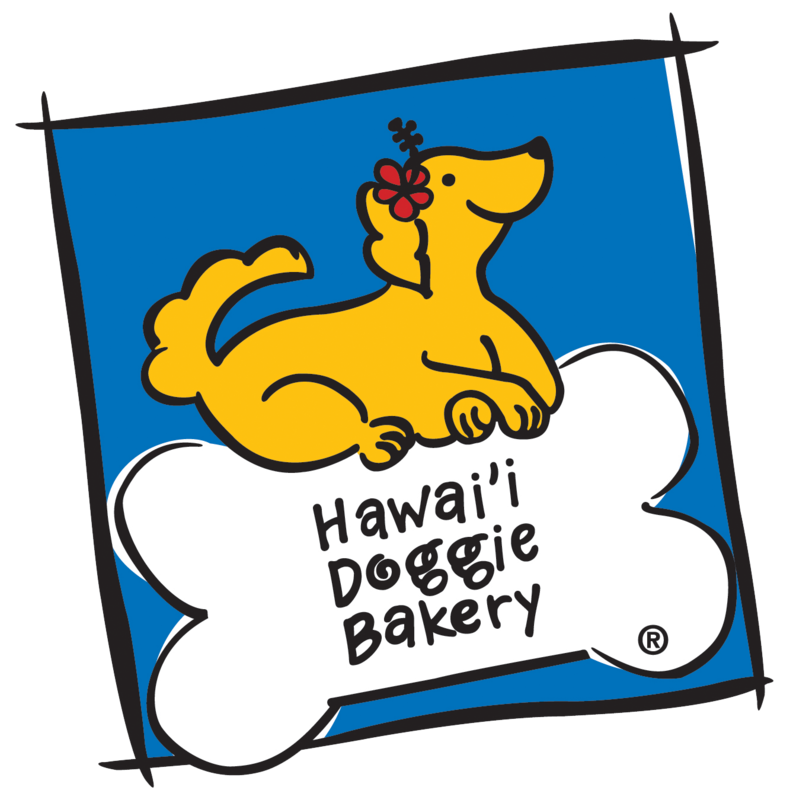 We are thrilled to announce that for this year’s annual Howl-o-ween Woof-tacular, we are not only teaming up with Keri Nakahashi Photography again, but we have been invited to partner with the Royal Hawaiian Shopping Center as well! This Howl-o-ween Event is two parts: The first is an Instagram Contest being held from Oct 1 -17. Simply post your picture using #RHCHowl#Contest for a chance to win. 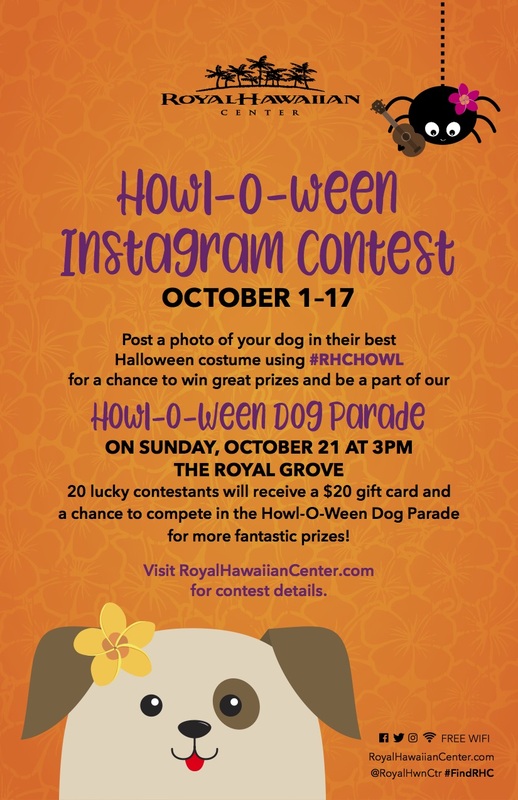 Twenty Instagram finalists will receive a $20 @royalhwnctr gift card and a chance to win more prizes at the Howl-O-Ween Doggie Parade on Sunday, October 21st in The Royal Grove. For more details and contest rules, click here. 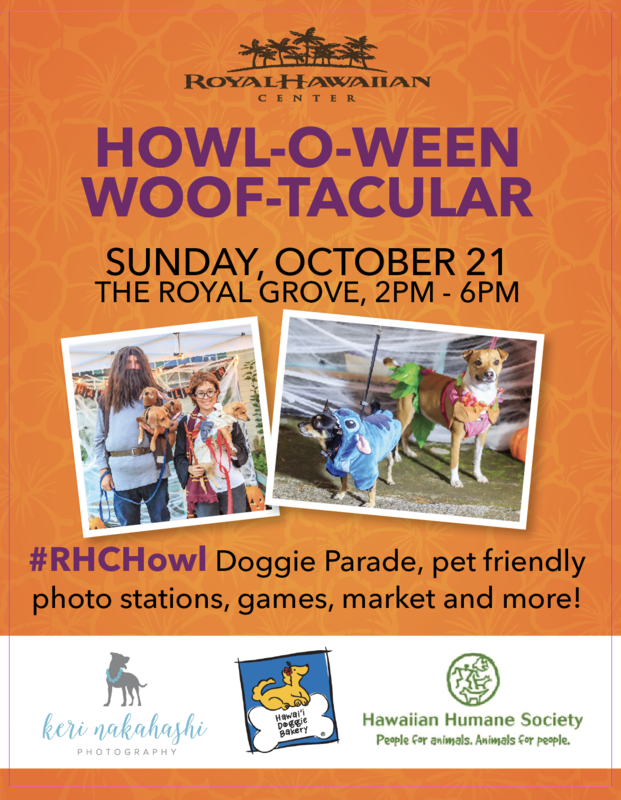 On October 21, we will be headed down to the Royal Hawaiian Center for the Howl-O-Ween Doggie Parade but that’s not all! Bring your dog in costume for some fun as well – details to be announced! Sunday, October 21 is our annual Howl-o-ween Woof-tacular with Keri Nakahashi Photography! This year we are holding the festivities in a new venue thanks to the Royal Hawaiian Shopping Center! Expect Howl-o-ween games, local vendors, a photo station designed by Keri and the big Halloween Dog Parade of Instagram Finalists! We are so excited and we can’t wait for this Sunday’s fun. We hope you can your pup can join us!